9. Business card – Bam! 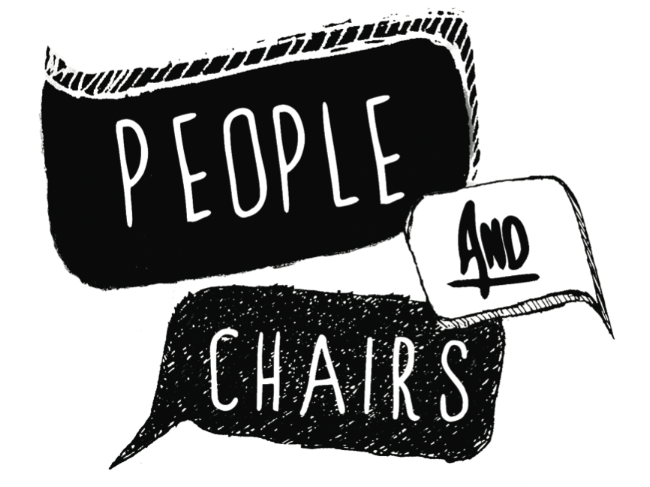 I was talking with Suzanne Pope, creator of Ad Teachings recently, when she asked me if improv is helpful in the workplace. “Hells yeah!” was my professional answer. The truth is, my mind was teeming with answers. Because really, what doesn’t it help? When you walk into a meeting and everyone’s frowning, the client is nervously fidgeting with his phone, or the person across from you is smiling but her eyes are lifeless circles, all of this is valuable information. Information that can and should be weighed before you open your mouth. I used to go to client meetings thinking only about the work I was there to sell. Now, my focus is the people I’m presenting to. You may not always make the sale, avoid conflict, or find a solution on the spot, but taking the time to connect with your audience almost always results in a better relationship. You know those people who never let you get a word in? You get in an occasional “Mmm” or “Huh,” while they never seem to take a breath. Or maybe you know someone who cuts you off, finishes your sentences, or talks over top of you. What about competitive listening? That’s when someone pretends to pay attention, but they’re really just waiting for an opening to air their opinion. We’ve all experienced these at one time or another, and a lot of us are guilty of them, too. Learning to give and take focus is a skill. The more you practise – especially listening, which is more than just hearing and involves your whole body, as well as paying attention to the other person’s body language – the better you’ll communicate. If you’re reading this on your smartphone while the TV is on and your son is asking you to look at his finger painting, stop. Choose one thing to focus on and give it your full attention. Me: (looking at iPhone) (groan) I just realized I did something that I had already done. Cameron: Well, I guess it’s really done now. Me: (looking up from phone) What’s done? When you’re present to your choices, it’s incredibly powerful. For you, and your audience – whether you’re on stage, in a boardroom, or sitting across from your loved one. Try fully committing to your next handshake, hug, or crappy little low-budget, nobody-cares-about-it-so-no-one’s-paying-attention project, and see what happens. I’ve seen countless ideas whittled away by committees, in brainstorming sessions, new business pitches, and creative presentations. One person throws out an idea. Someone else says “I like it.” Heads start nodding as people become excited about the possibilities. Then the overthinking begins. There’s a big difference between collaborating as a team and nay-saying a concept into the ground before it’s even had a chance to live. Not every idea is gold. But 9 times out of 10, when something gets pecked to death, it’s coming from a place of fear. 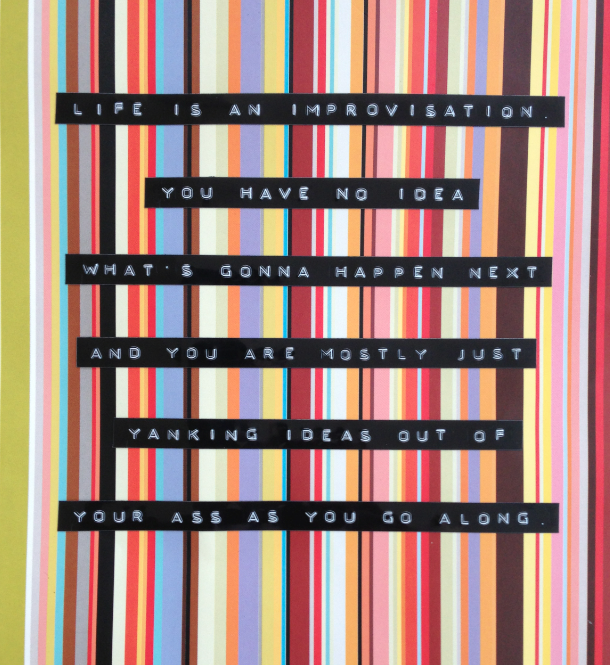 Which leads me to my last and favourite reason to take improv. A lot of us don’t take risks because we’re afraid of failure. But when you realise there are no failures, only learning, it becomes a lot easier to try things. The more risks you take, big and small, the more experience – and experiences – you have to draw from. Companies evolve. People come and go. What was hot last year (or last week, or this morning) is already passé. Detroit may be known more for Impalas than improv, but that’s changing fast thanks to Chris Moody. 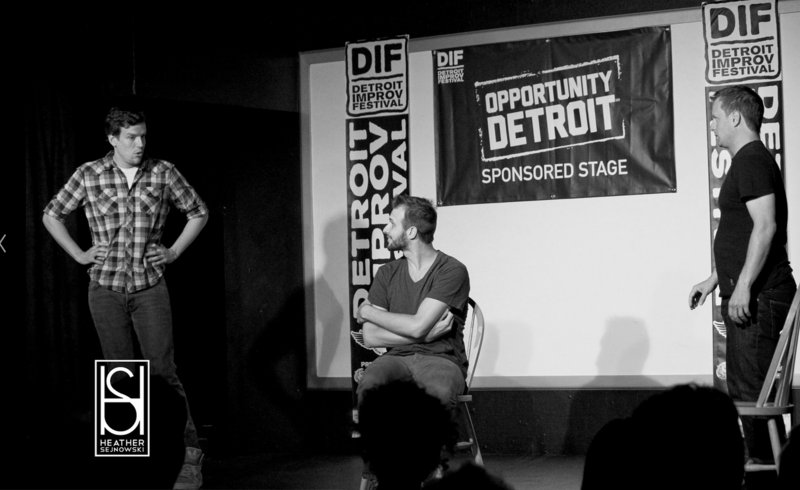 The 2014 Detroit Improv Festival takes place August 3-10, with 200 improvisers from across North America putting on 20 performances and 15 workshops. We spoke with Chris about the festival, rubbing shoulders with improv royalty, and the importance of giving back. P&C: Tell us how you came to be involved with the festival, and why? CM: Well I am a transplant; I grew up in Philadelphia and moved out here about 10 years ago. I started doing improv because I wound up going with my wife to see a show at Go Comedy! Improv Theater when it first opened up. It was a New Year’s Eve show and I [saw] that there were classes. It just happened that both my wife and I were laid off at the same time, so I was looking for something to take my mind off of job hunting, and improv turned out to be the cure. My day job is planning trade shows. I’m an Operations Manager, so getting things together, working on timelines and putting an event together was kind of what I’d been doing pretty much my entire professional life. I approached the owners at Go Comedy! and asked them if they ever wanted to produce a festival, just let me know, and it turned out to be that year. We started four years ago, and each year we try to do something different to bring the best improv from around North America to our community. P&C: And looking at your guests it looks like you’re doing an amazing job, especially for a festival as relatively new as yours. CM: We’re extremely fortunate with a lot of incredible improvisers who have gone on to film, television, stage careers returning to the city to perform in the festival. Keegan-Michael Key obviously, his meteoric rise through Key and Peele, got his start here in Detroit at a theatre that he helped open called the Planet Ant Theater, the longest-running theater that does improv in Detroit. Tim Robinson knows the guys at Go Comedy, so we had a real good base of improvisers from around the country that helped us produce our first couple of festivals, and from there, through friends of friends we’ve been able to add on and increase the talent. P&C: This year you’re bringing Fred Willard on opening night for a special screening of Best in Show. CM: Yeah, we’ve always wanted to do something to attract theatre-goers to improv, because like many other cities, not many people really know what improv is. Some people think it’s stand-up comedy, Whose Line Is It Anyway? 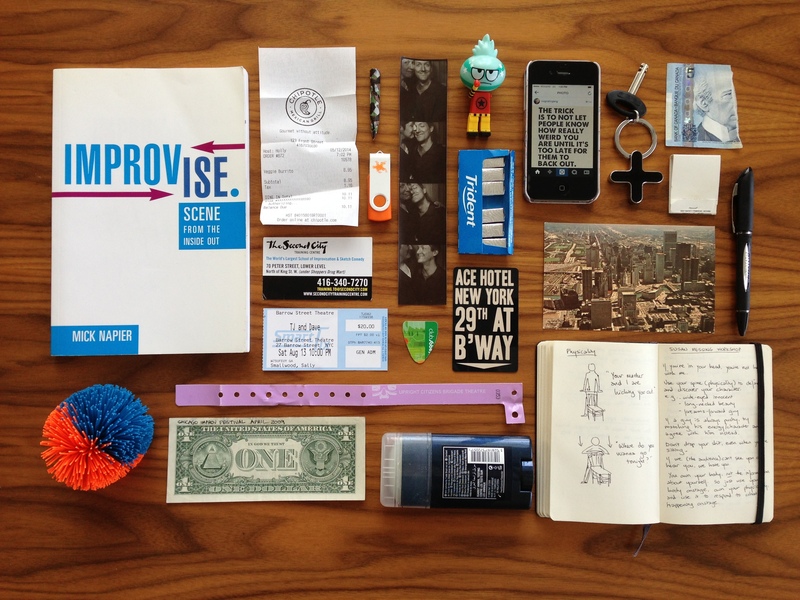 is a good resource and a good introduction, but we really wanted to introduce the locals to long form improvisation. And we felt by bringing this improvised film to a large theatre – it seats 1,600 people – we think that might be able to attract new audience members. P&C: That’s a fantastic idea. Cameron and I know it can be like pulling teeth to get people who aren’t familiar to come see improv. Even my family was convinced it was stand-up with hecklers and they didn’t wanna go near it. Using an improvised film is a fantastically creative way to get new people involved. CM: We were able to get Fred Willard through some Detroit connections. 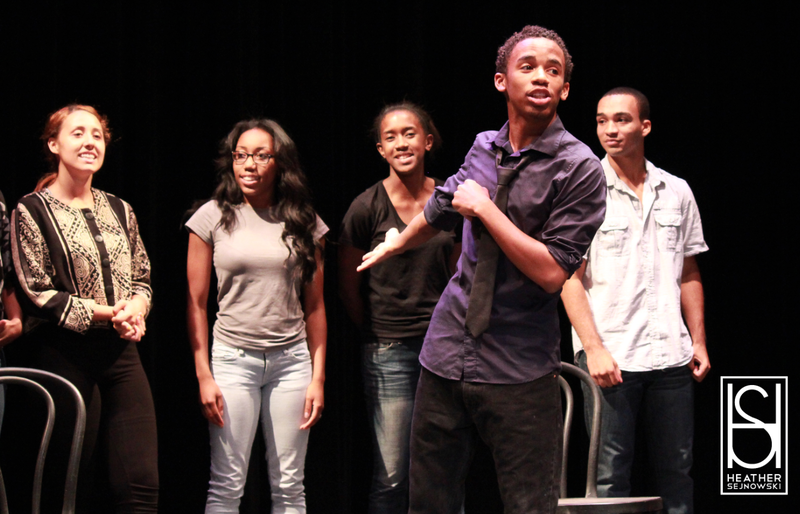 The Detroit Creativity Project is a non-profit that started teaching improv in the Detroit public schools, complimentary because of school budgetary cuts. It was started by a gentleman named Marc Evan Jackson who’s a member of The 313 with Keegan. He started his project with the help of many other Detroit improvisers, and had a fundraiser in LA and Fred Willard participated in that. 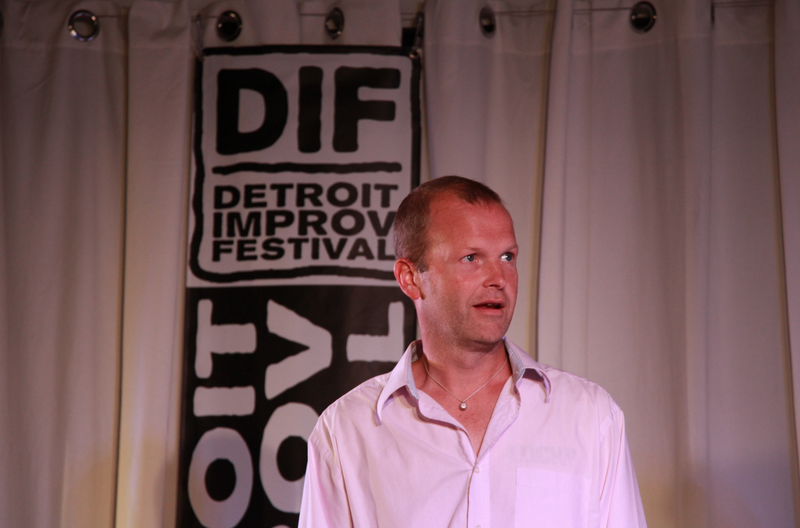 He was introduced to many of the Detroit improvisers in LA, and was kind enough to come out and do a Q&A for opening night, and he’s actually going to perform long form improv with his improv troupe, the MoHos. P&C: That’s very cool. We just saw him on Andy Daly’s new show, Review. P&C: What have been your favourite performers or shows over the last four years? CM: Well personally, my favourite thing about the festival has been the appearance by TJ and Dave last year. They came out and did two shows during the festival and they’re my all-time favourites. We had TJ come out the past couple of years, and last year we were able to get both TJ and Dave to Detroit. It was both sold-out performances and I marked it on my calendar not to miss those shows. P&C: Oh yeah, I envy people who can see them regularly, in Chicago or New York. P&C: Who are some of the other guests you’re bringing to the festival this year? CM: Well we’d been trying to get John Glaser to come back to Detroit for the festival. He grew up in Southfield, Michigan which is about 10 minutes from Detroit, and he has agreed to come out. He asked if a couple of other performers he regularly performs with could come out as well, so Kevin Dorff will come out, Tim Robinson will be joining him, as well as Mike O’Brien from Saturday Night Live. So the four of them are gonna perform together and we’re extremely excited about that. CM: Susan Messing has been to our festival each year, and each year she performs with a different person. 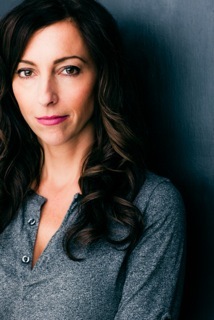 This year she’s going to perform with Norm Holly, who is head of the Second City Conservatory. He is from Michigan, right outside of Detroit, so it’s a bit of a welcome home for him as well. And then Colleen Doyle and Jason Shotts, who are two of my favourite performers out in Chicago, will be performing their show DUMMY. P&C: The festival runs for eight days. That’s long! CM: We increased the amount of days because of the festival starting on the Sunday night at the Redford Theater for Best in Show. We also wanted to highlight the Planet Ant Theater on Monday, which is their improv night. And Tuesday and Wednesday night we’re going to do a couple of local shows downtown at the Boll Family YMCA Theater. Tuesday night’s show will be the Detroit Neutrino Project, the improvised film. And Wednesday night we’re going to have a showcase and fundraiser for the Detroit Creativity Project where students and alumni come back and perform, and a few others shows as well. Natasha Boomer is going to come out with Wheel of Improv that evening, which we’re incredibly excited about. CM: And then Thursday, Friday and Saturday night we move to Ferndale, Michigan where we have shows at the Go Comedy! Improv Theater, the Rust Belt, the Ringwald Theatre, and we’re going to do a family-friendly show on Saturday at the new ComedySportz Detroit. P&C: That’s a very full schedule. CM: It is, and it’s nice because all of the theaters – especially the ones in Ferndale – are just a couple of blocks from each other. So you can go from show to show. You catch the beginning of one show, you can catch the end of another show very easily; it’s very attendee-friendly and performer-friendly. P&C: That’s terrific. Can you tell us a little about the workshops you’ll be offering? CM: Sure. Depending on when everybody comes in, we have workshops on Friday, Saturday and Sunday. Sometimes if a performer can only come on theTuesday or Wednesday we’ll do another workshop during the week for some of our local improvisers, but our main workshops take place during the day. The nice thing about our workshops is, not only do you get a two-and-a-half hour workshop, you also get a free meal, whether it be dinner if it’s a night workshop or lunch at our BBQ on Saturday or Sunday. P&C: Nice. Now, switching gears for a moment, because you’re relatively close to Toronto you’ve had a number of Canadians attend the festival. 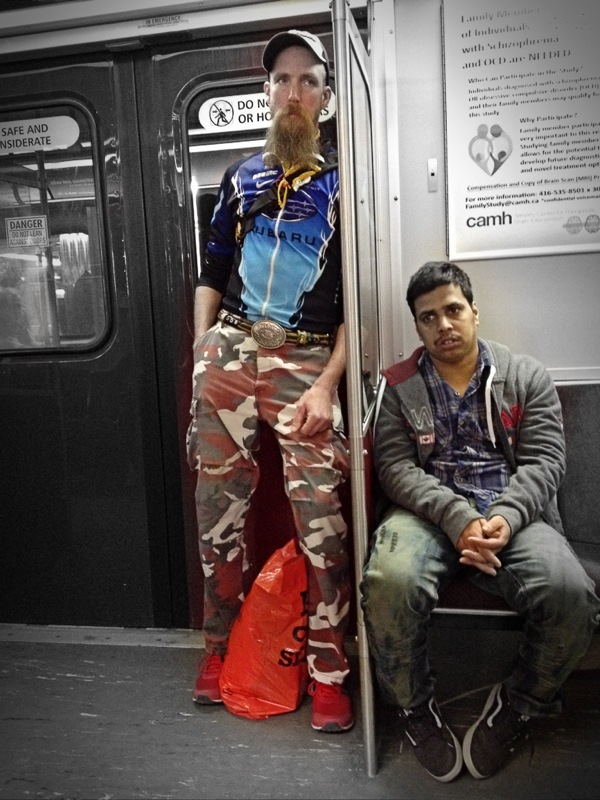 Do you notice any difference between US and Canadian performers’ styles? CM: Not so much styles. I travel up to Toronto quite a bit, so I’ve got to know a lot of the improvisers in the area fairly well over the past four years. From Mantown to 2-Man No-Show, Ghost Girls, We’re From Here, Darcy & Bingley, Jess Grant’s solo, POMP… They’re so strong and so character-based, it’s a nice complement to our festival line-up. You can tell they’ve been working together for quite some time and they’re among the most unique and elite improvisers that I’ve ever seen. P&C: I think it’s great for Canadians that you have such a rich offering of performers that a lot of us may not get a chance to see very easily or very often, so it’s nice that you also enjoy what Toronto has to offer. OK, last but not least, DIF is a non-profit. Can you give us a bit of background on that? CM: The festival is run by the Detroit Improv Collective Inc. It’s a 501(c)(3) non-profit that produces workshops and other events, including fundraisers which we do throughout the course of the year. Over the past couple years we’ve partnered with Gilda’s Club of Metro Detroit, to help produce the festival; they’re actively involved. We do monthly workshops at Gilda’s Club, and we help out whenever possible. We have a fundraiser coming up on May 20th for Gilda’s Club and the festival; we’re gonna feature some of our amazing local troupes and Joe Bill from Chicago is going to be in town and participate in the fundraiser. Gilda’s Club means a lot to me both personally and professionally. We’ve tried to do whatever we can to support them. P&C: That’s fantastic. Well, thanks for your time Chris, and break a leg in August! For more details, visit: www.detroitimprovfestival.org. Festival Submissions are open until June 8.